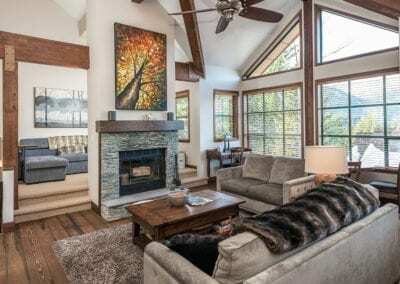 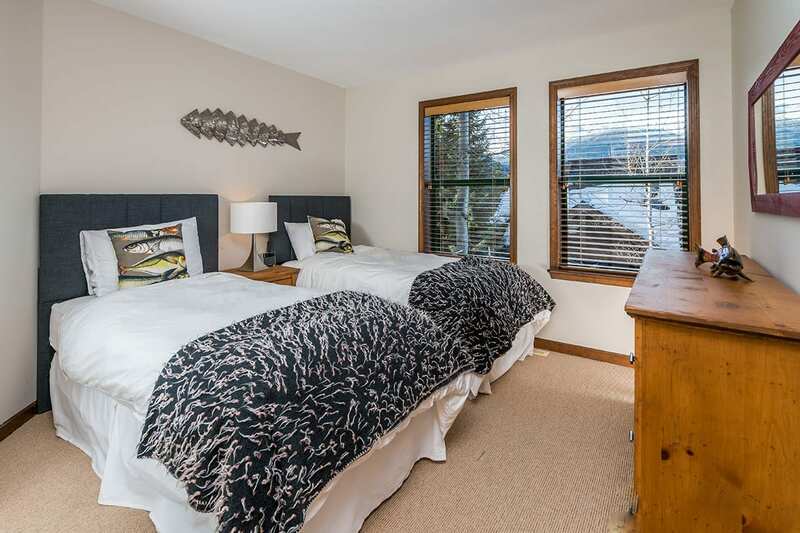 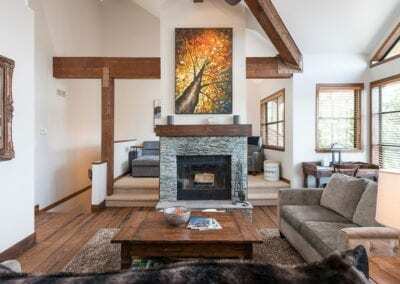 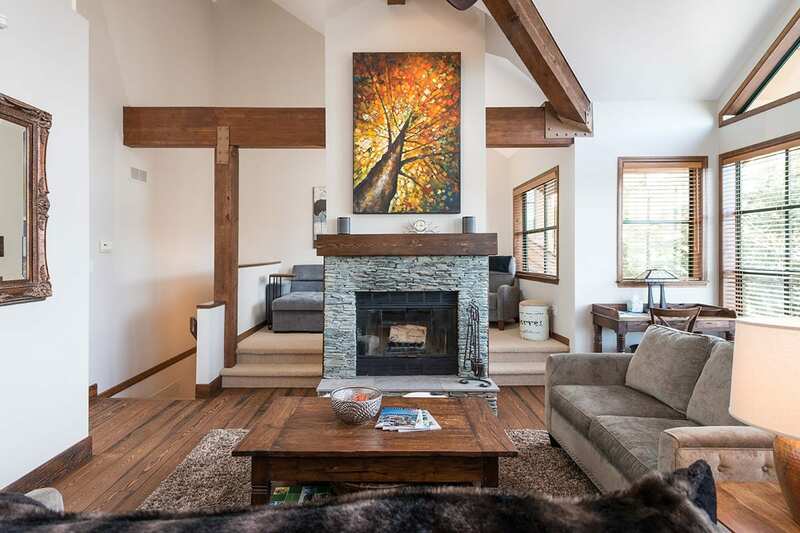 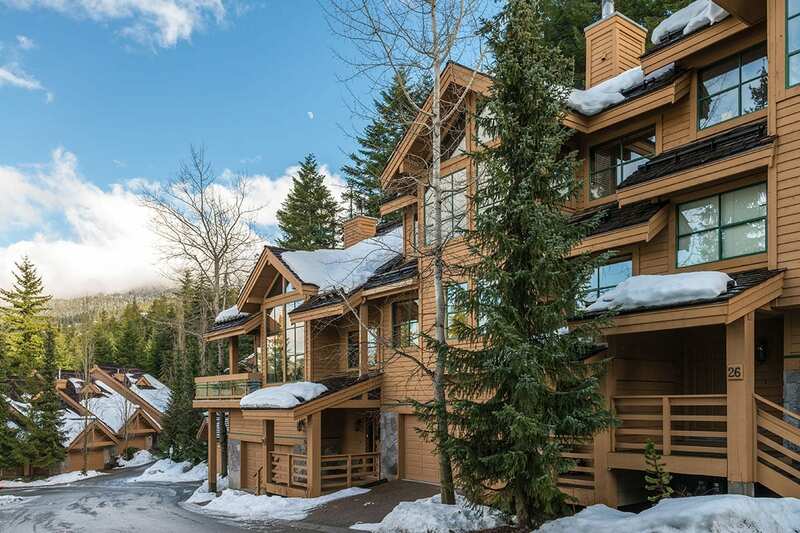 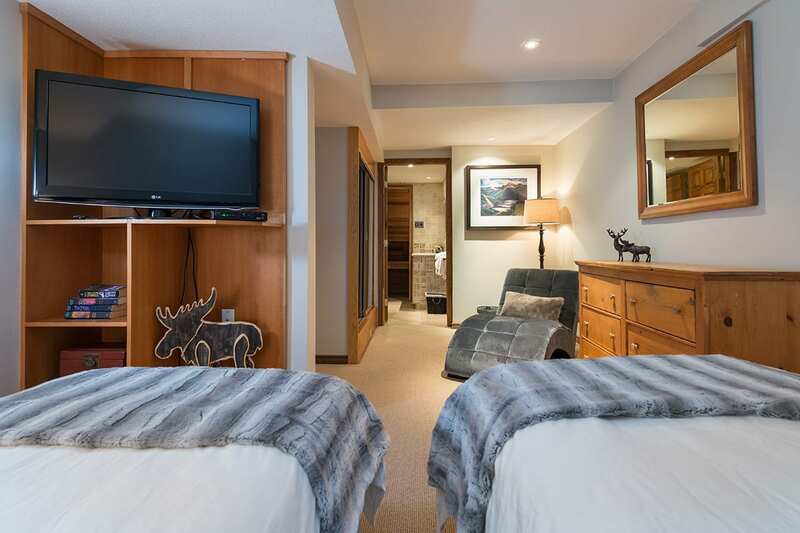 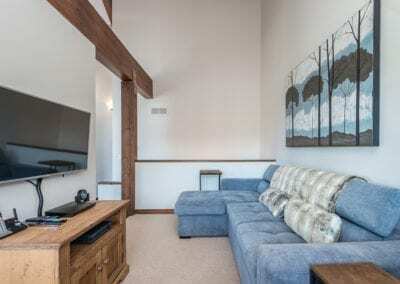 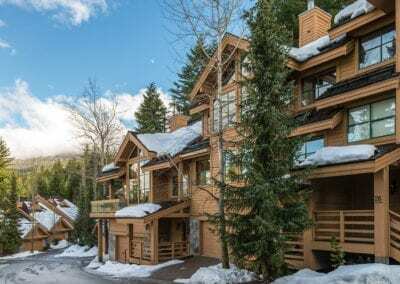 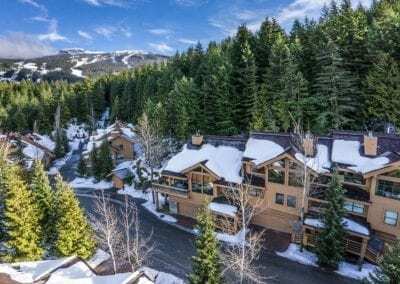 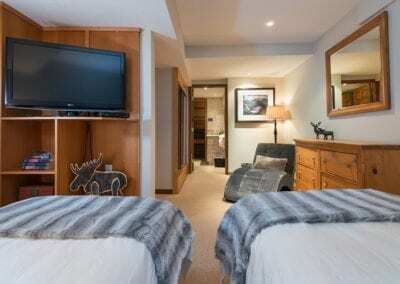 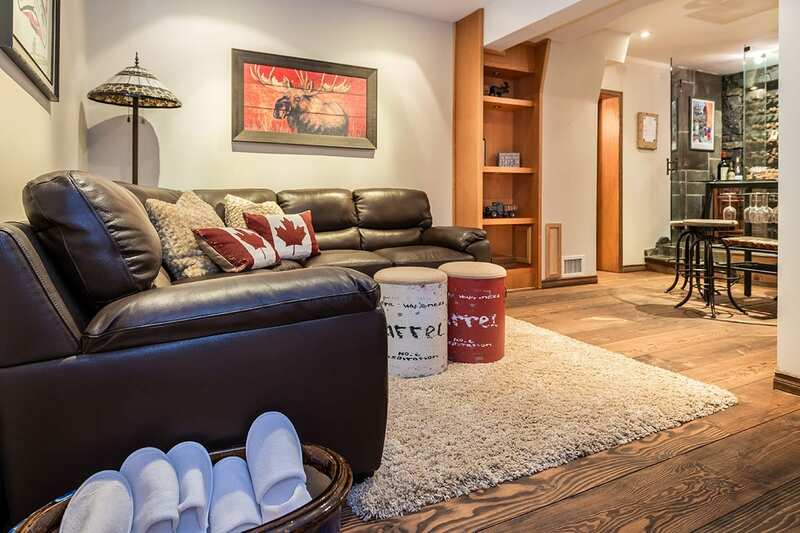 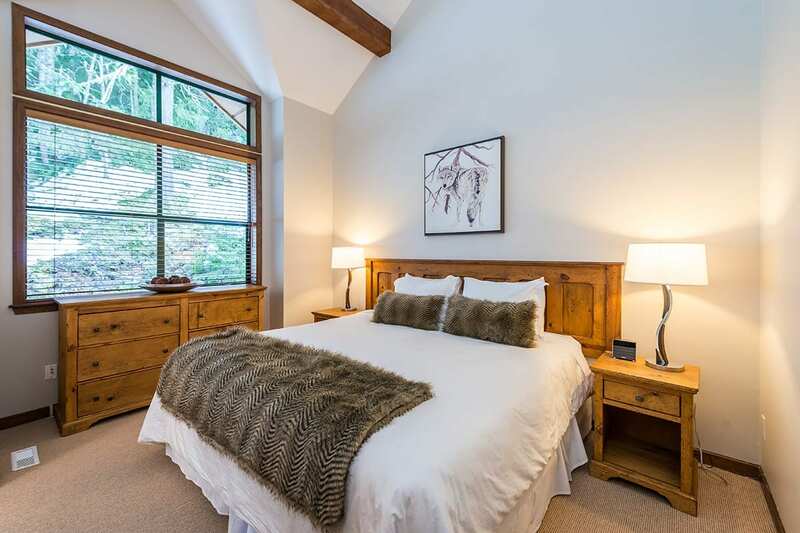 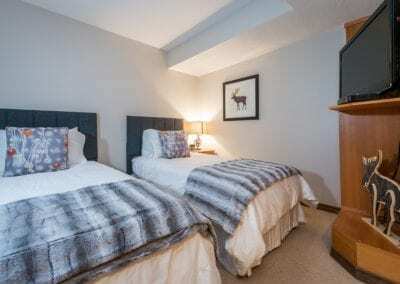 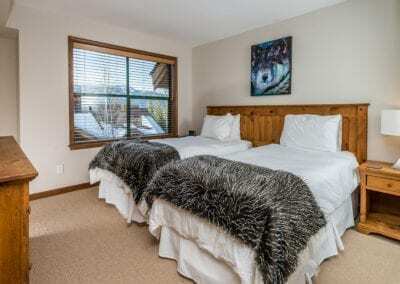 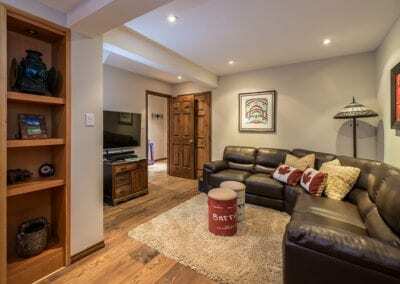 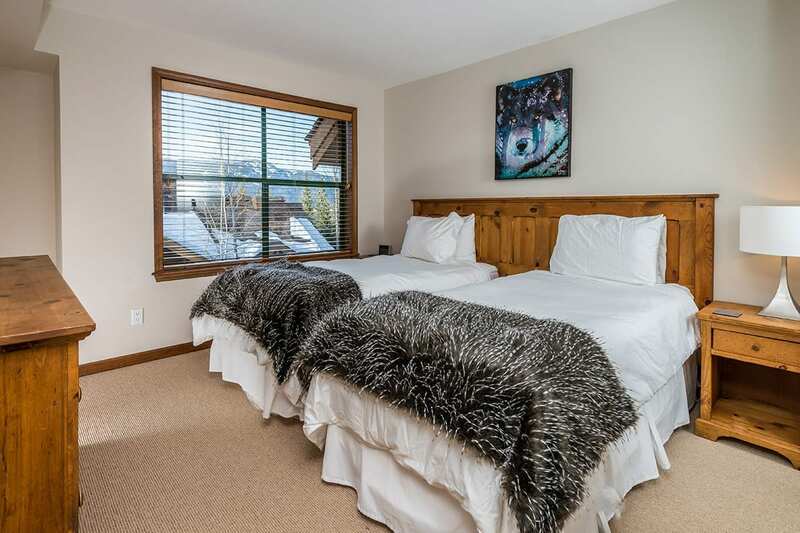 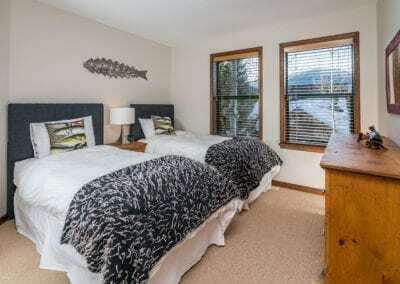 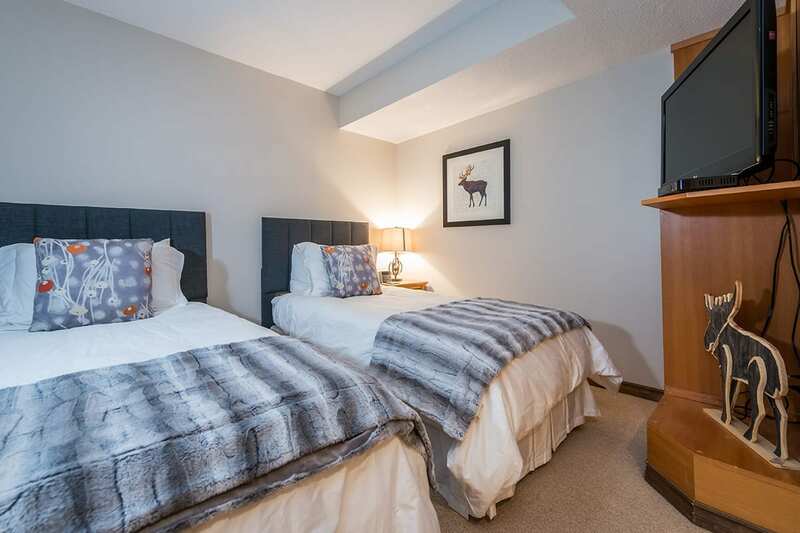 This spacious four bedroom plus den, three level Ski In/Out townhome, is perched above the Westin Resort & Spa and only a short distance to the heart of Whistler Village. 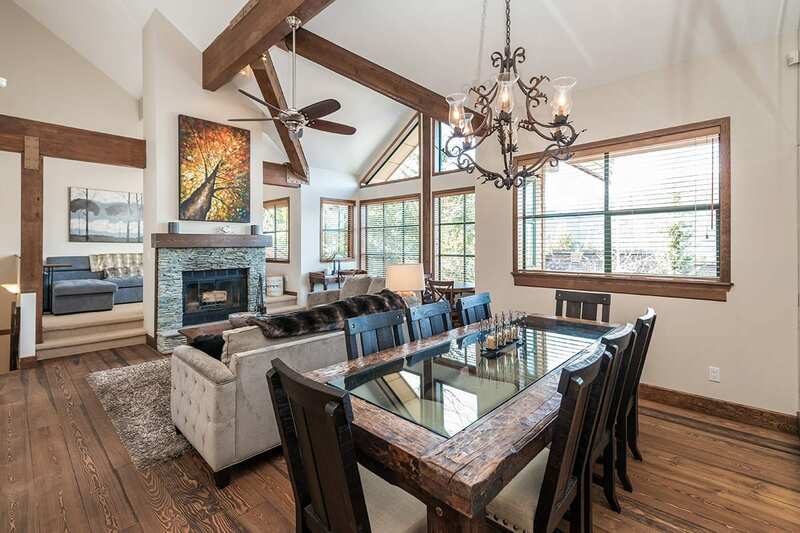 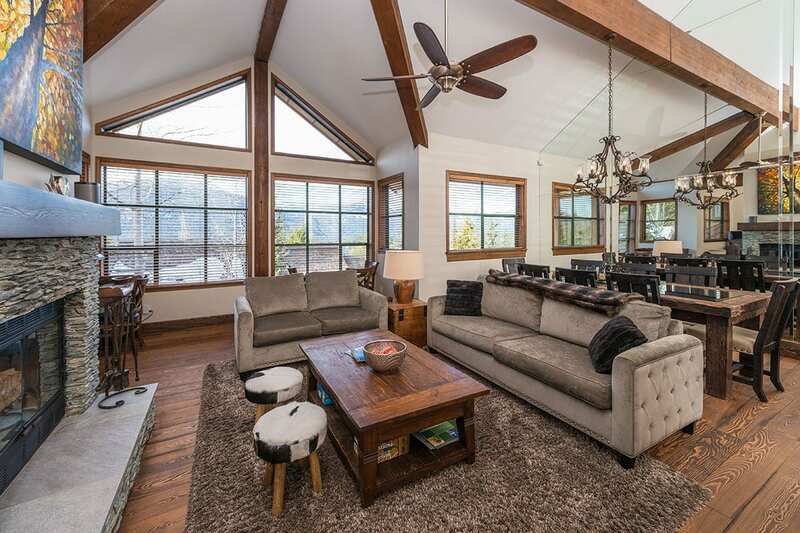 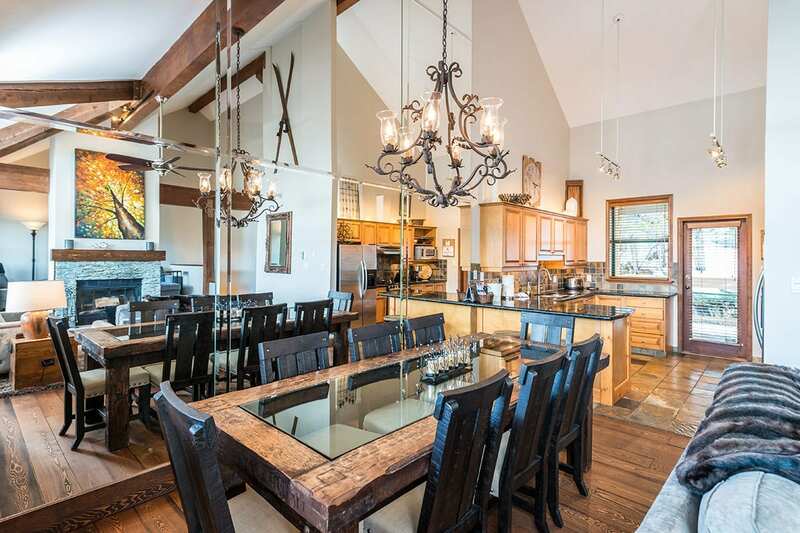 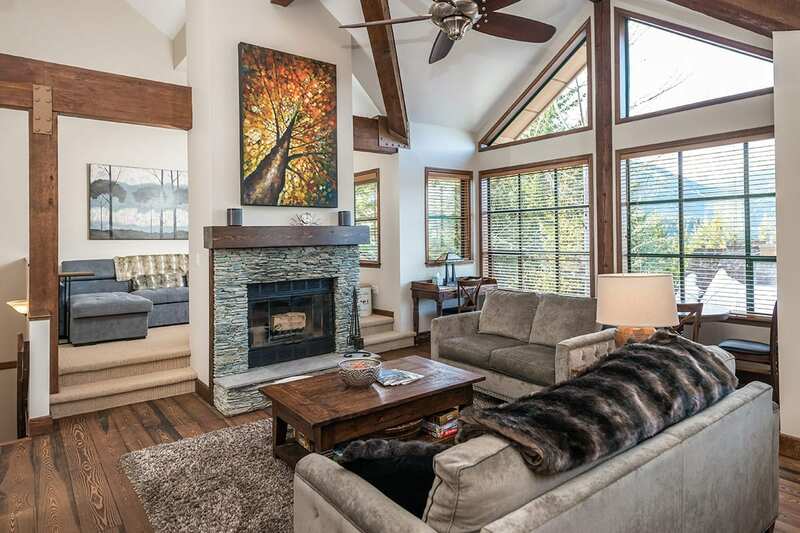 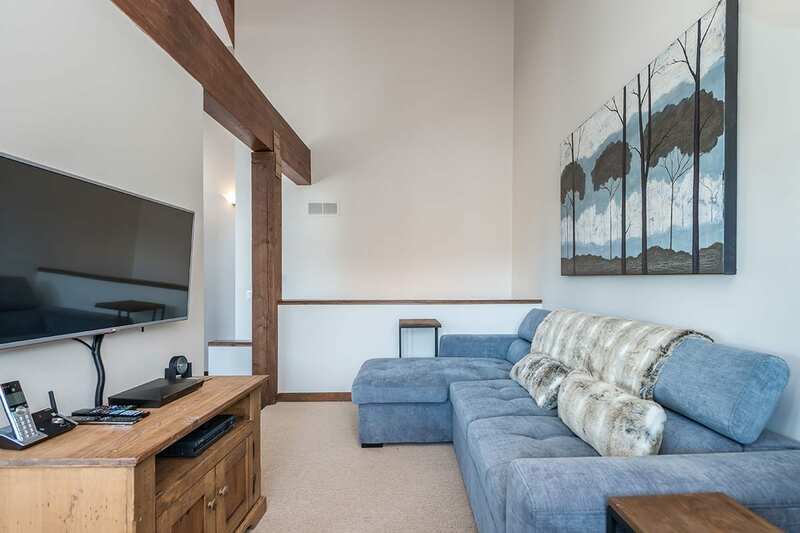 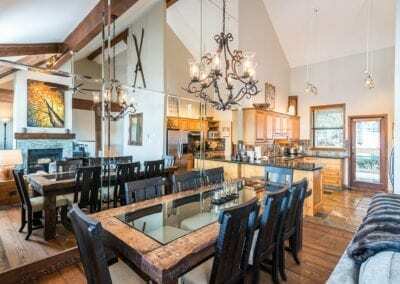 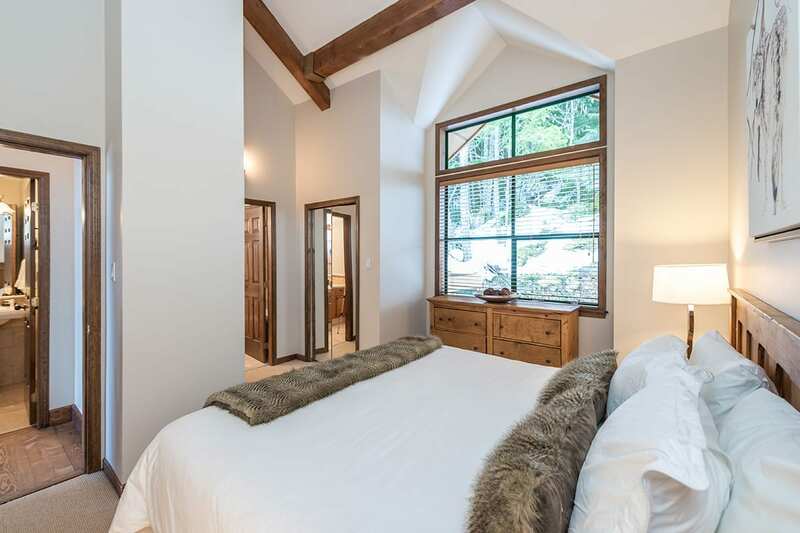 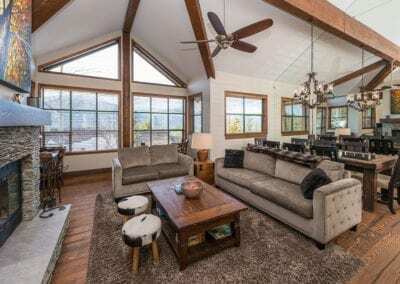 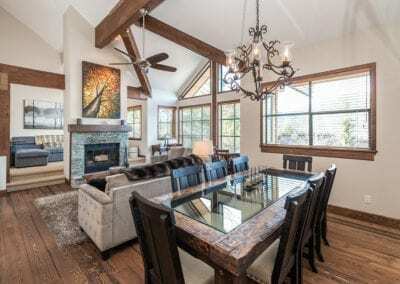 The main living area located on the top floor features high vaulted ceilings and floor to ceiling windows that provide an abundance of natural light and wonderful mountain views. 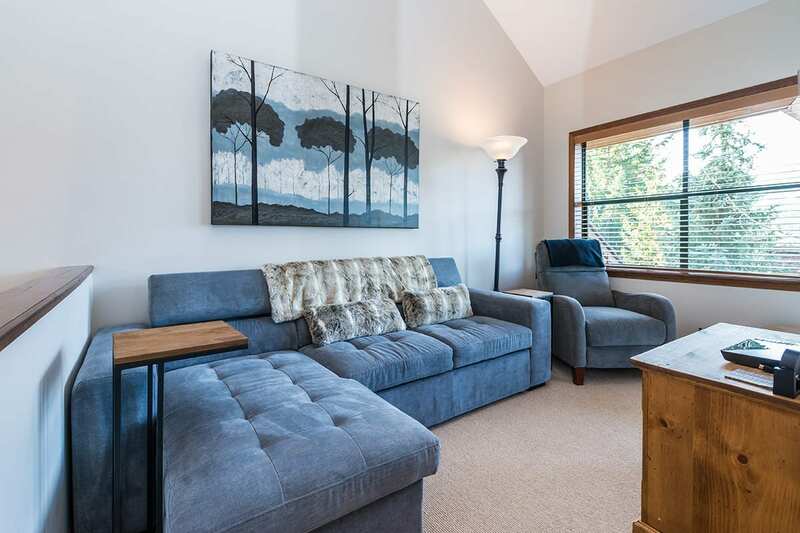 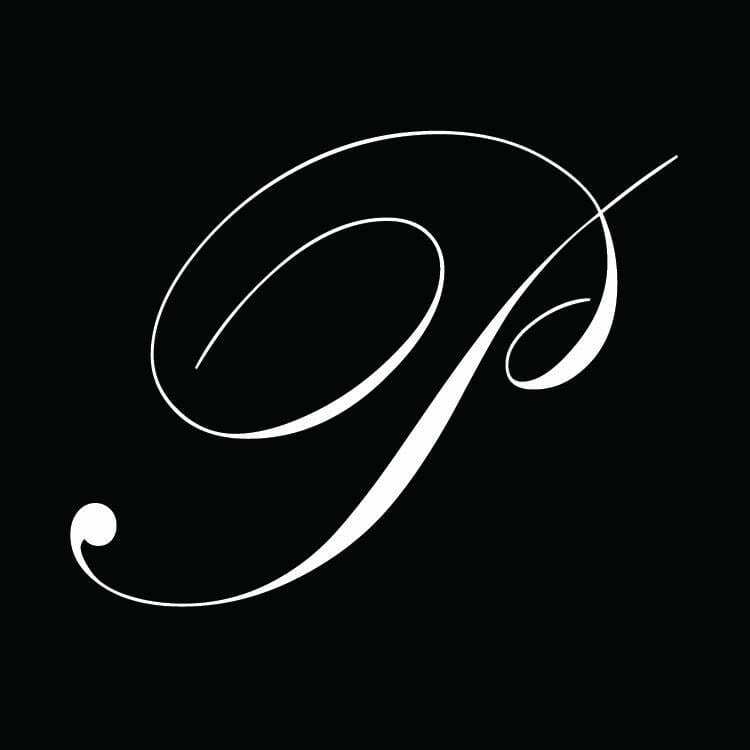 Enjoy the cozy wood-burning fireplace, flat screen TVs, as well as an office nook with a desk and comfy reading chair located behind the living room fireplace. 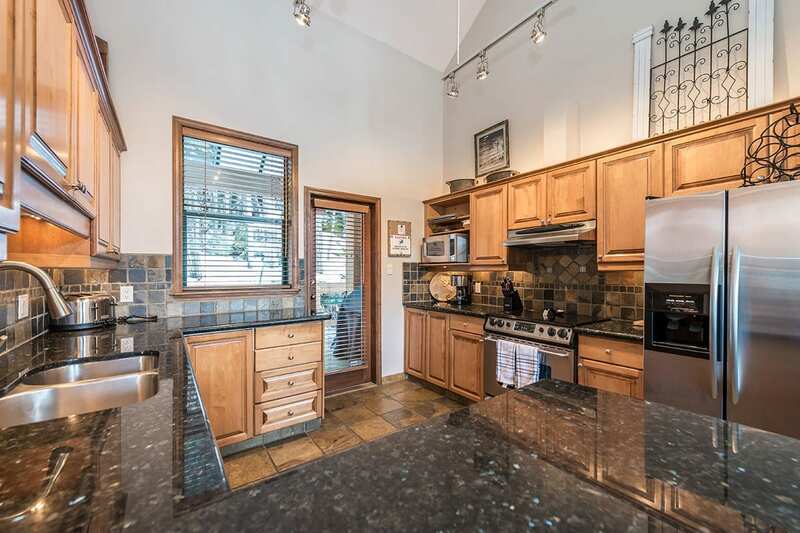 The large open concept gourmet kitchen features granite counters and stainless steel appliances and overlooks the dining area with its grand table that seats 8 comfortably – wonderful for entertaining or a family meal. 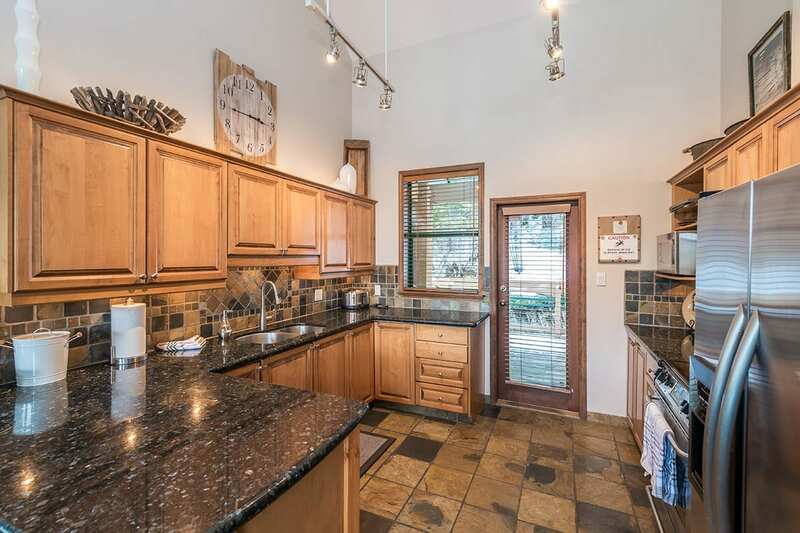 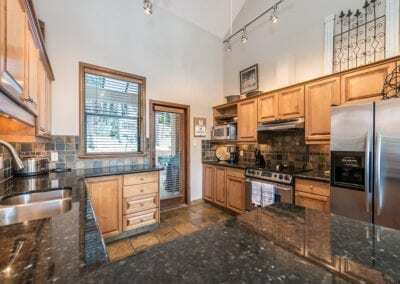 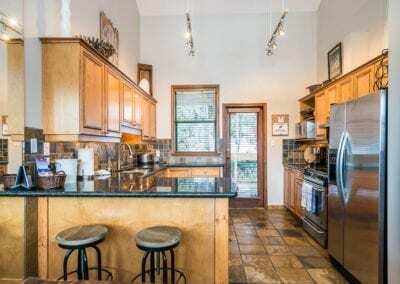 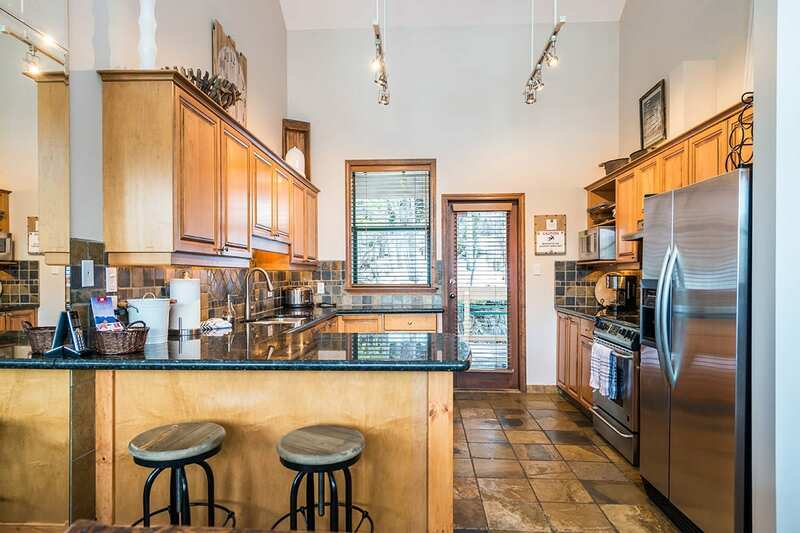 The kitchen offers access to the private deck with BBQ and hot tub. 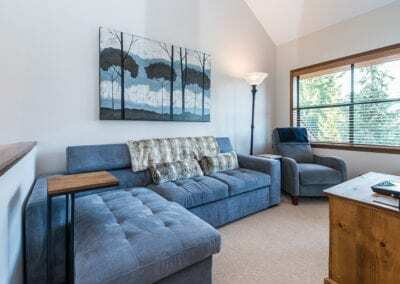 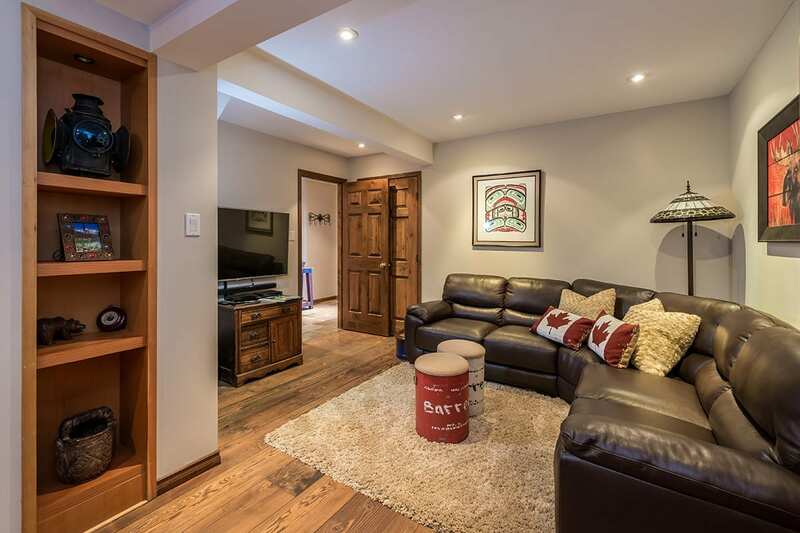 The comfy family room with TV and walk-in wine cellar is located on the entrance level. 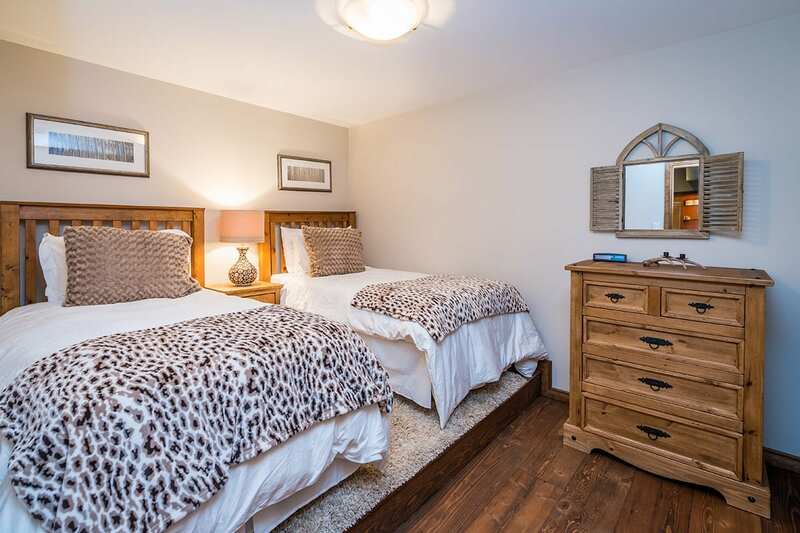 The master bedroom is also located on the top floor and features a king bed and ensuite with jacuzzi bathtub and overhead shower. 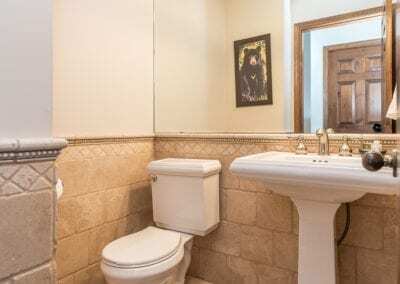 For added comfort, there is a guest powder room on the top floor, as well as extra sleeping in the living room with a pull out couch. 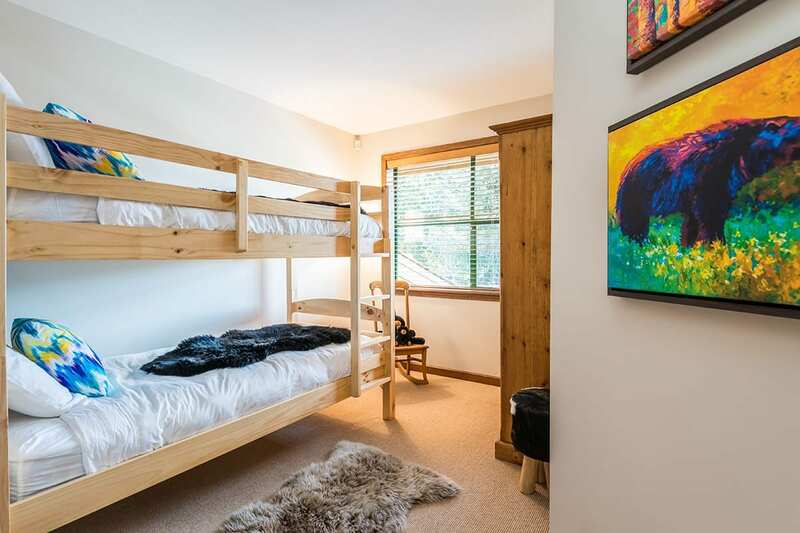 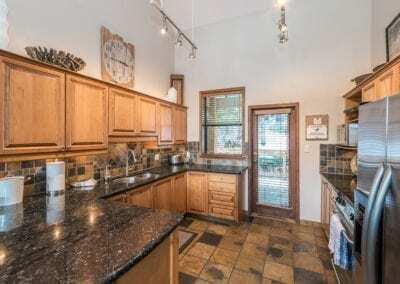 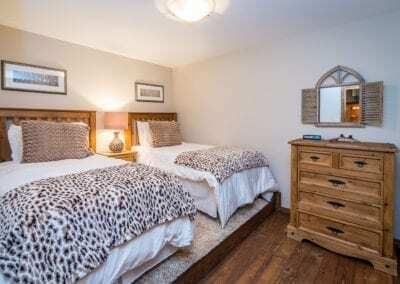 On the middle level you will find three additional bedrooms and a den. 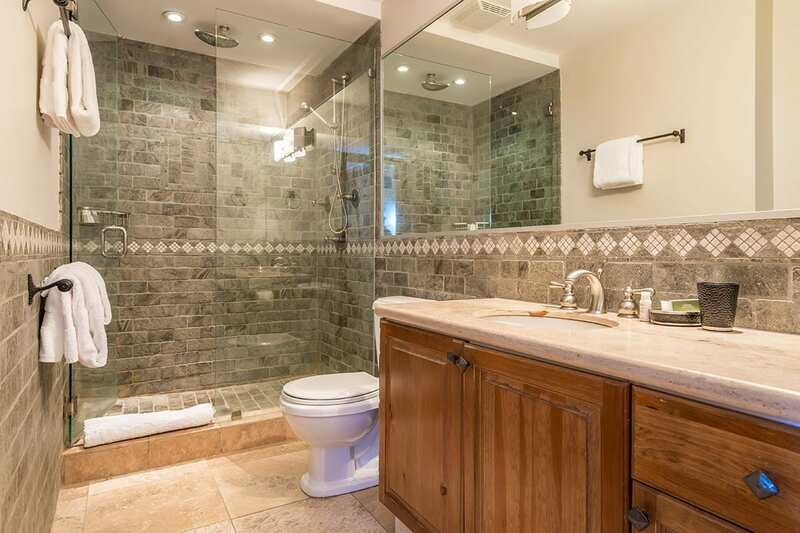 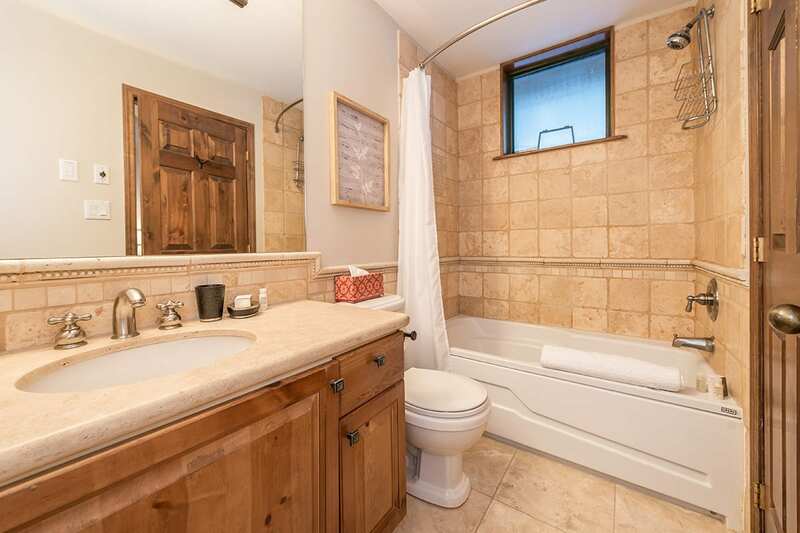 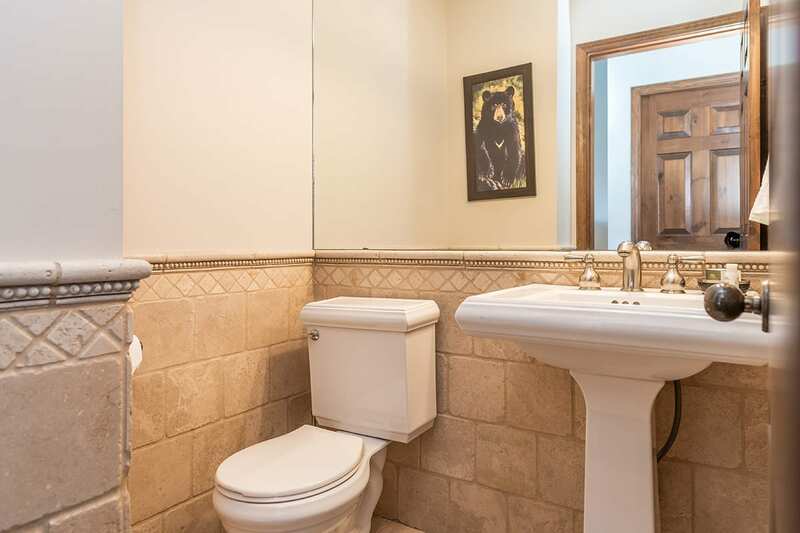 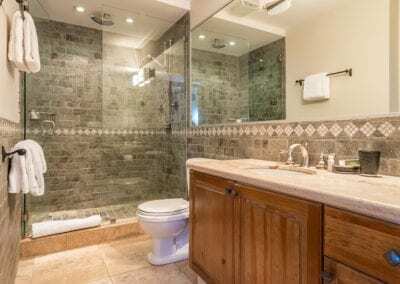 Once with ensuite bathroom, and three that share a full bathroom. 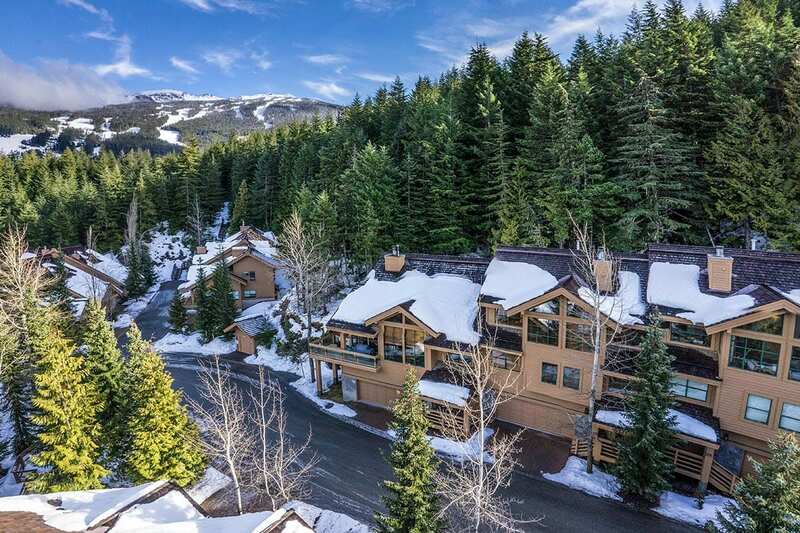 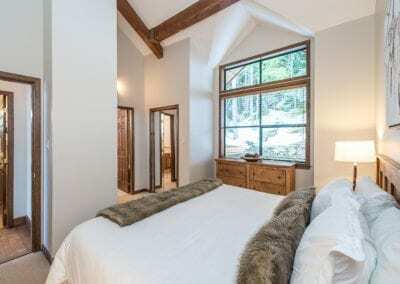 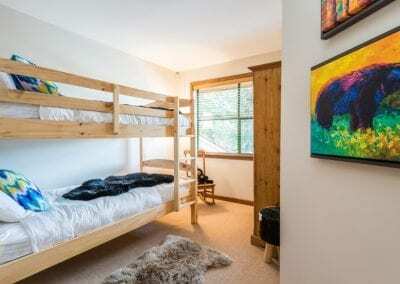 Great location off the slopes of Whistler Mountain. 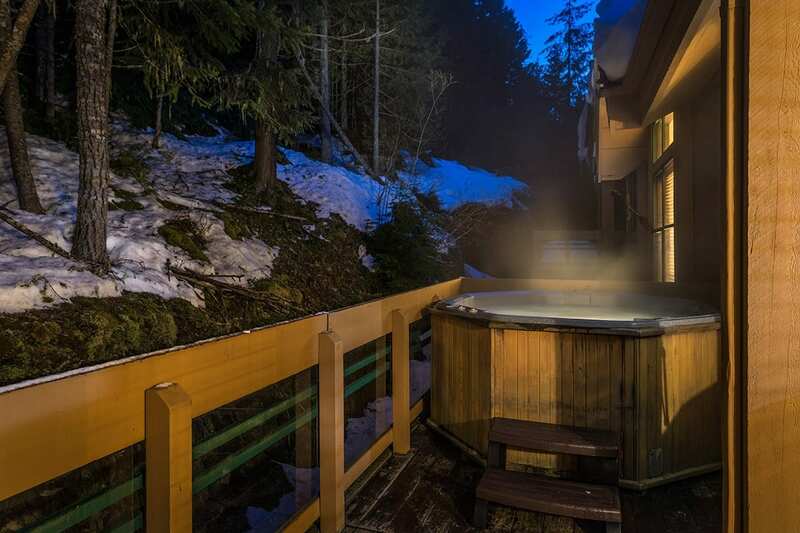 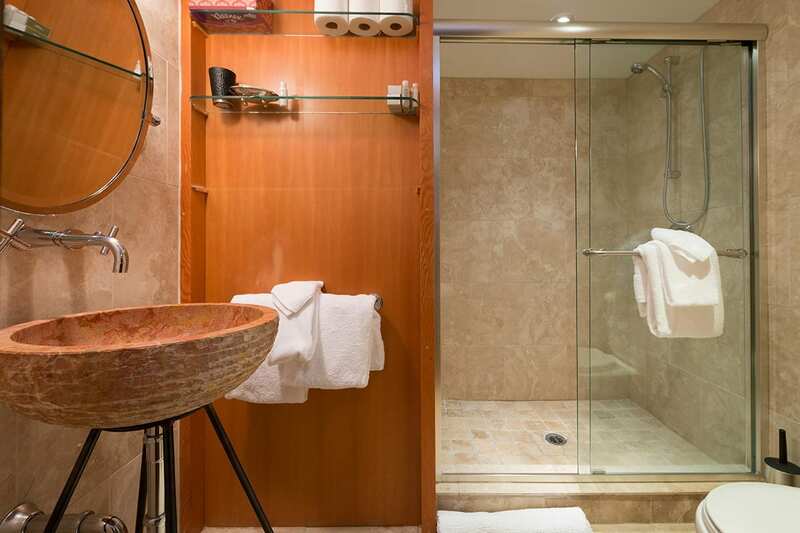 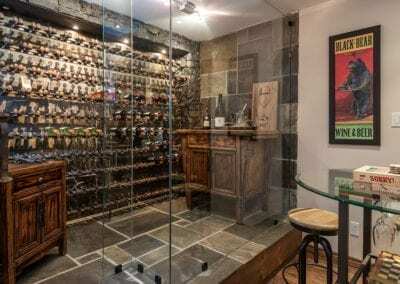 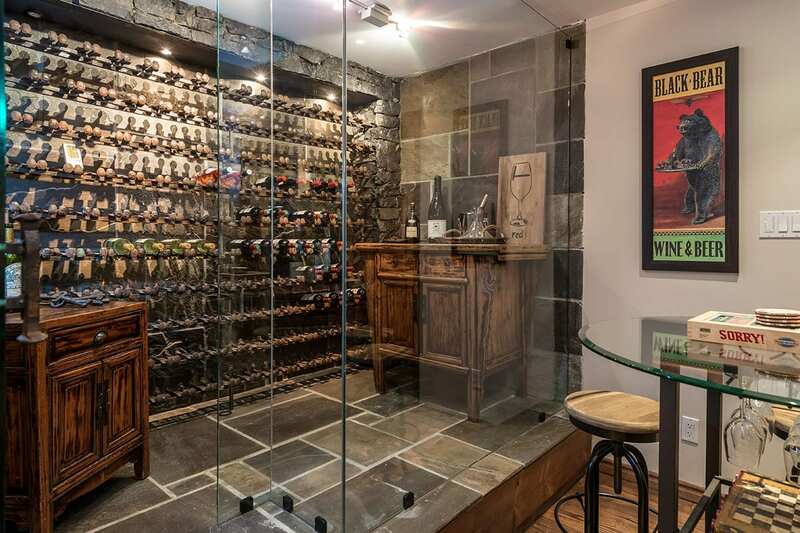 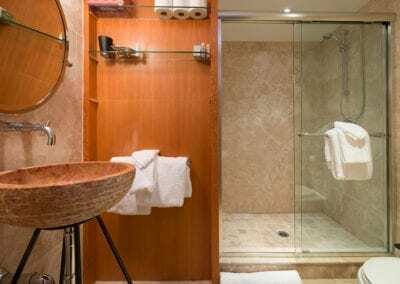 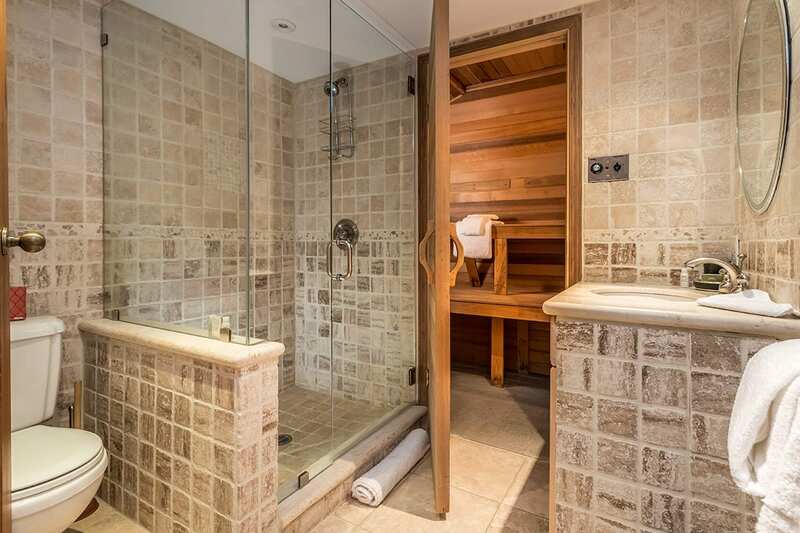 Private hot tub, sauna and even its own wine cellar.